In the first week of March the daily number of seismic events roughly doubled, and KVERT scientists recorded volcanic tremor (continuous, rhythmic ground shaking associated with the movement of magma) on March 2nd. 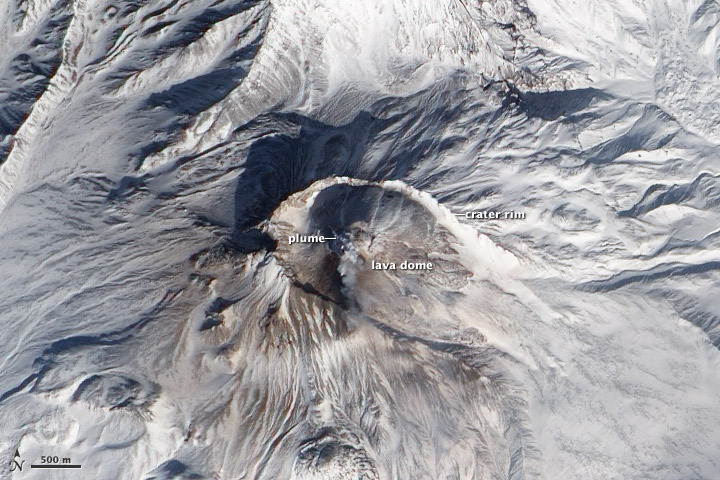 At the same time, satellites measured an increase in temperature of the volcano’s growing lava dome. The Advanced Land Imager (ALI) on the Earth Observing-1 (EO-1) satellite collected this true-color image of Bezymianny on March 5, 2012. A plume of steam and other volcanic gases escapes from the lava dome, the same region with elevated surface temperatures. 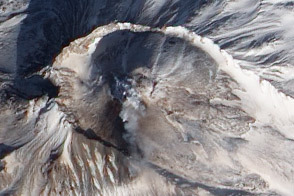 Most of the landscape is covered in late-winter snow, but the southern face of the volcano has a fresh layer of brown ash. The lava dome itself, currently the summit of the volcano, rises above a crater rim that formed during an eruption in 1956. NASA image by Jesse Allen and Robert Simmon, using ALI data from the EO-1 team. Caption by Robert Simmon. An increase in earthquakes under Bezymianny Volcano signaled an impending explosive eruption. 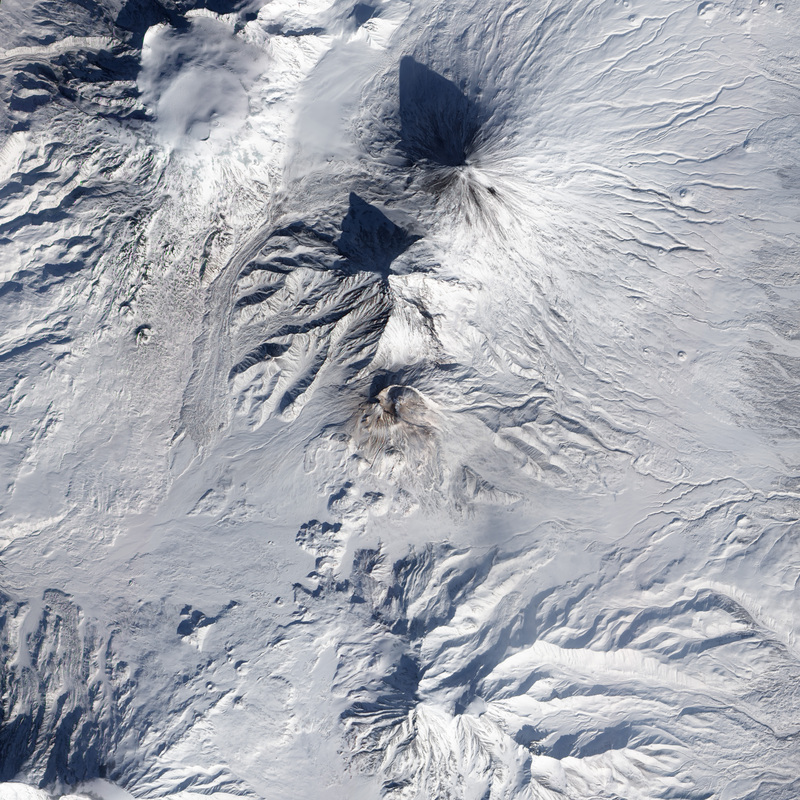 Bezymianny Volcano on Russia’s Kamchatka Peninsula continued to erupt in 2013. KVERT. (2012, February 19). VONA/Kamchatkan and Northern Kuriles Volcanic Activity. Accessed March 9, 2012. KVERT. (2012, March 2). 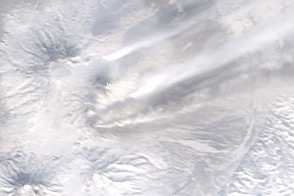 VONA/Kamchatkan and Northern Kuriles Volcanic Activity. Accessed March 9, 2012. Global Volcanism Program. (2011) Bezymianny: Eruptive History. Accessed March 9, 2012.